On a side note, mrcake.co.uk is currently experiencing downtime due to "capacity problems". 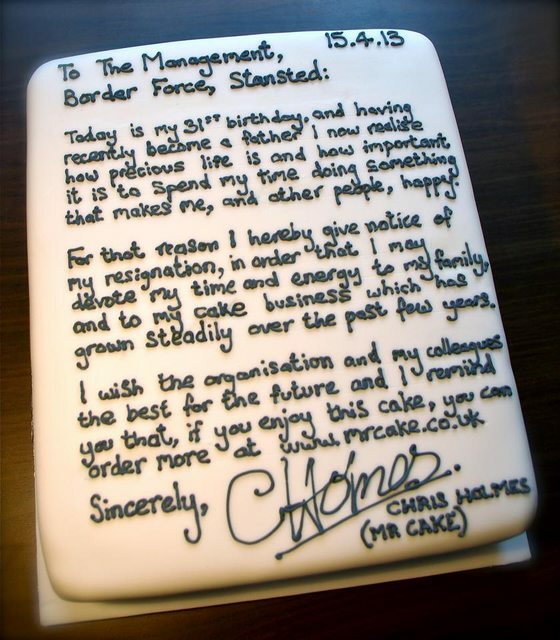 Email “This man resigned from his job using a cake”. Feedback on “This man resigned from his job using a cake”.